A war is waging in the spirit realm and God has already given you, His child, the victory. 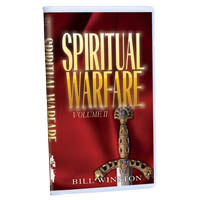 Learn to fight the good fight of faith through this series on Spiritual Warfare. As children of God, we are not called to fight the enemy, we are charged to fight the good fight of faith. However, we are not to do this in our own strength. God fights our battles for us and He has already guaranteed the victory. Learn about the authority and resources available to you to have victory over every circumstance in life."